What is your psychic body, and what does it have to do with insomnia? To even ask this question is to suggest that you have been dabbling in reading In Pursuit of Sleep. I develop the concept there, and it is not so strange as it might seem at first. Actually, everyone has experienced their psychic body, and it has a really close connection to sleep. I also like to define the psychic body in terms of what happens when you read a novel. I know. A lot of people these days are not readers, but since you are reading this, you probably dig into a novel now and then. When someone reads a novel, they experience total sensory deprivation in the fictional world… unless the author pulls a few tricks to get the reader in there. And yes, the author possesses skills that enable him/her to evoke the reader’s five senses, which places the reader in the fictional world. 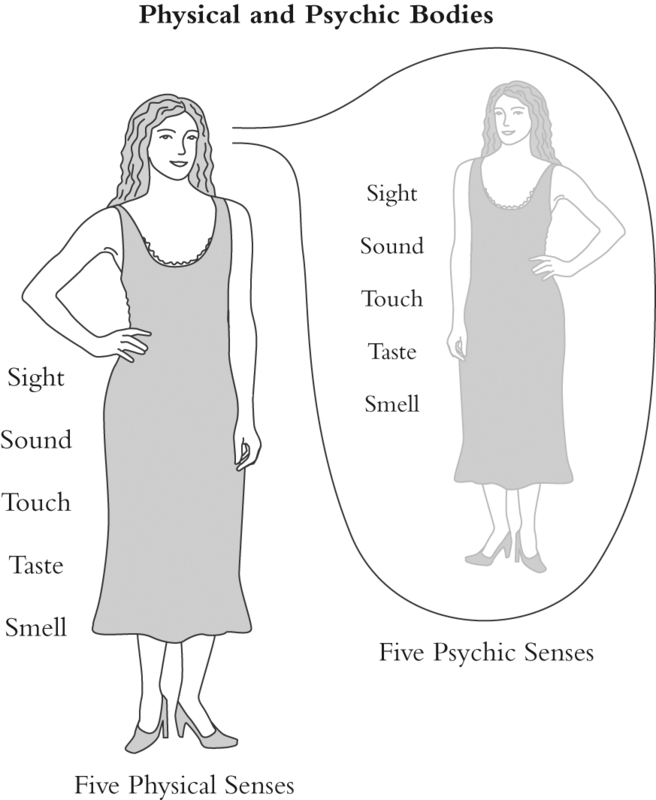 The five senses are: sight, sound, touch, taste, smell. If the author can evoke all five of the reader’s psychic senses, the reader feels as though they are in the fictional world. Your psychic body is your dream body, and since it is used during sleep, we should also use it to try to get to sleep. We do this by activating all the psychic senses when we use the Transition Trek to negotiate hypnagogia. That puts us firmly in the psychic world where we are most susceptible to the sleep propensity curve. Of course, we would want to change out those high heels and that dress for something more amenable to hiking. The trick, of course, is to put that psychic body to sleep. The more real we make the psychic body through evoking images of the psychic world, the quicker we get to sleep. All this is accomplished by using the Transition Trek. Here is the clincher: Insomnia depends on the mind being occupied with real world concerns of the physical body. When we minimize the our attachment to the physical body, and instead concentrate on what we have planned for the psychic body (the Transition Trek), we are then able to get to sleep quickly. All this is explained more clearly and in more detail in the first four chapters of In Pursuit of Sleep.